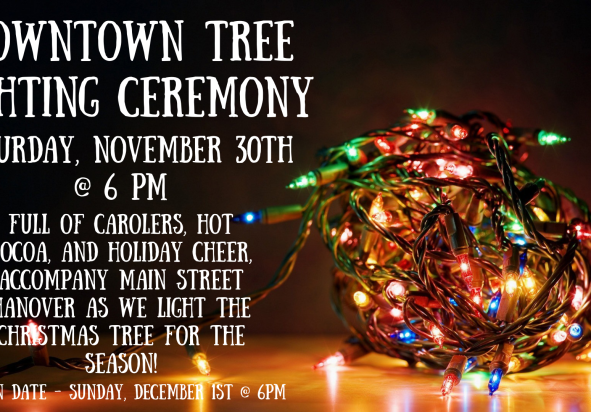 Light up downtown Hanover with the annual Christmas Tree lighting ceremony and celebration! 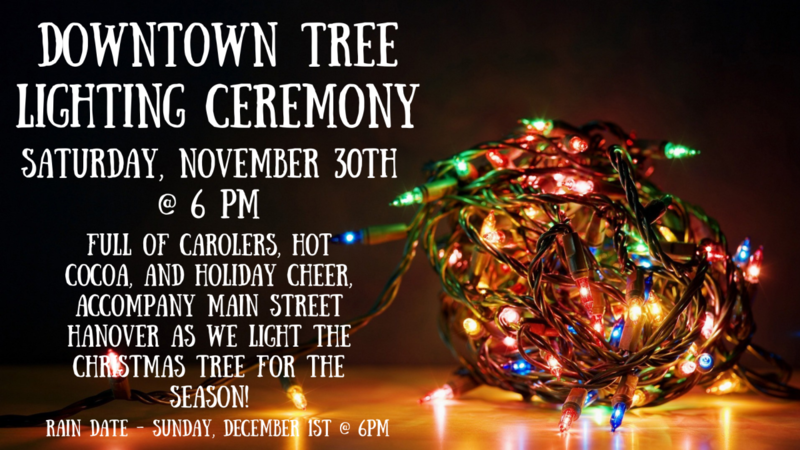 Filled with carolers, cocoa and cheer, come downtown and join the Hanover Area Chamber of Commerce and Main Street Hanover as they light the Christmas Tree for the season. The ceremony will begin at 6 p.m. Rain date will be Sunday, December 1 at 6 p.m.